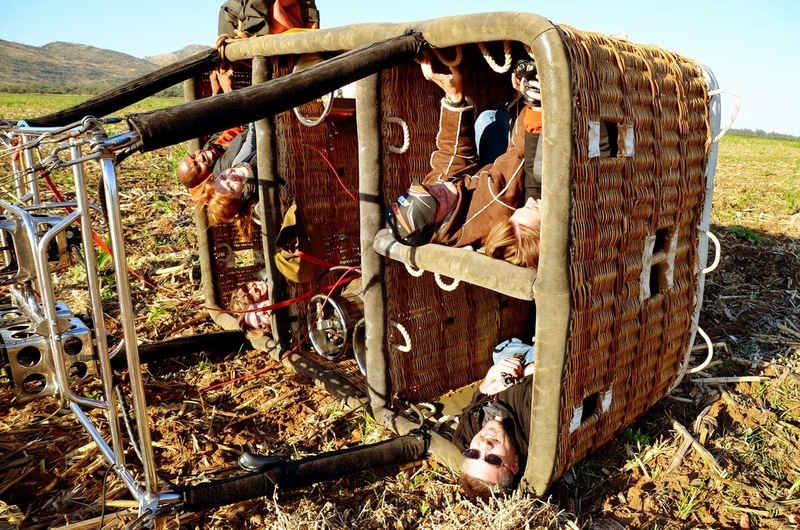 Hot air ballooning is a fickle activity and usually leads to disappointment, exhaustion and frustration. (This post is obviously not sponsored by the Hot Air Balloon Association.) I’ve tried several times to participate in this remarkable adventure, but before a few months ago had only been successful one time, in Napa Valley. 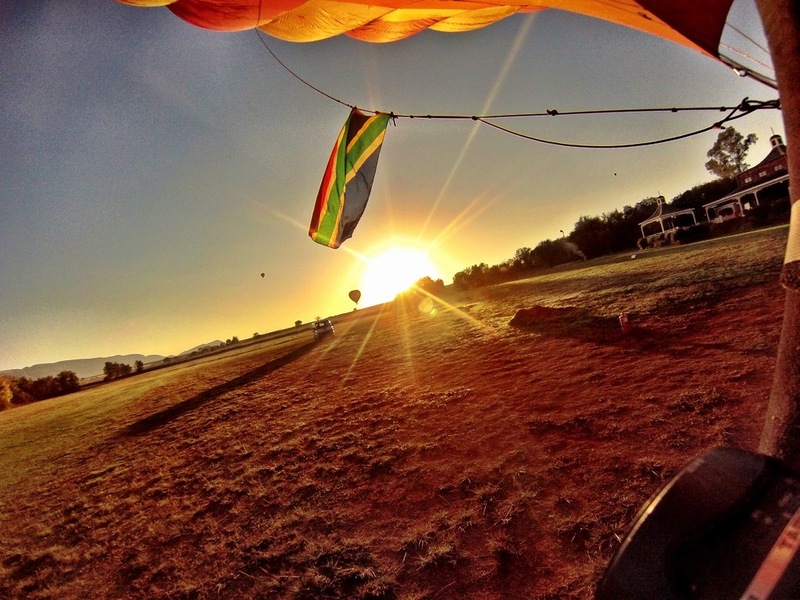 But magic struck that morning before sunrise in South Africa and I once again soared the heavens in a beautiful balloon. 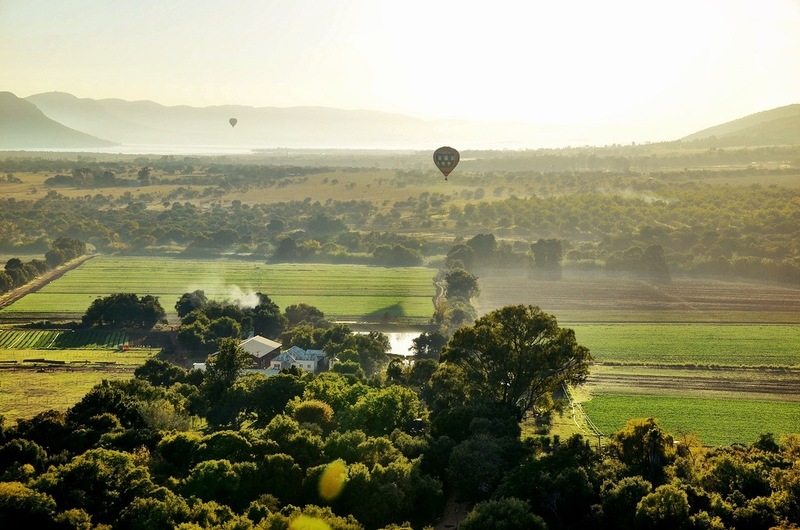 As with all hot air balloon experiences, we were up before dawn as we drove from Johannesburg to the Magalies River Valley in the Cradle of Humankind World Heritage Site. 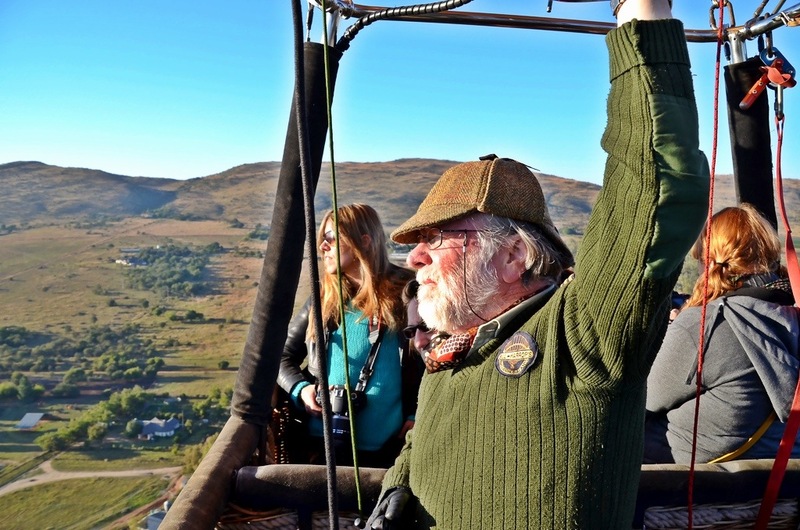 There waiting for us was the grandfather of hot air ballooning in South Africa, Mr. Bill Harrop and his balloon safari. 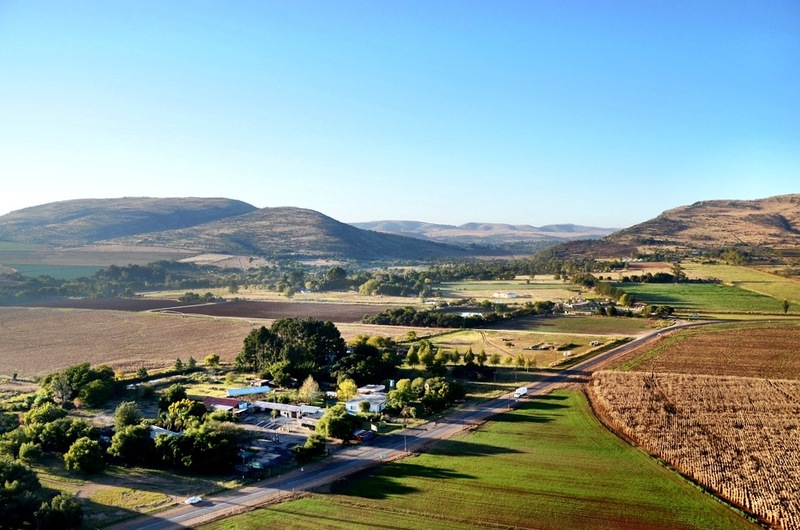 The Clubhouse that serves as the Harrop headquarters is about an hour’s drive from Joburg, easy enough when you’re asleep and transfers are of course available if you don’t have a car. No matter how you get there though, you’ll be treated in style when you arrive. Not even a glimmer of sunlight had begun to emerge when I poured myself some hot coffee and noshed on the biscuits Bill and his crew made available. They told us what I already knew, that hot air ballooning is heavily dependent on the weather and things were not looking good that morning. I felt a gust of wind, which from my experiences meant we would be grounded for the day. You can’t steer a hot air balloon, so you have to make sure the wind speed and direction is exactly right before taking off. Any error on the pilot’s part could mean a hard landing. I understand the safety reasons for not going up, but I’ve been frustrated so many times by hot air ballooning that I swore if it didn’t happen in South Africa, I would never try again. But as the first rays of sunlight began to cast their shadows, the balloons started to inflate. My heart began to race and before I knew it my group was inside the basket, receiving our safety instructions and preparing to lift off with the man himself, Mr. Bill Harrop. With his deerstalker cap and Scottish cardigan, Bill is a classic example of a ‘character.’ English by birth, but citizen of the world by choice, Bill started his unique company more than 30 years ago; the first of its kind in South Africa. 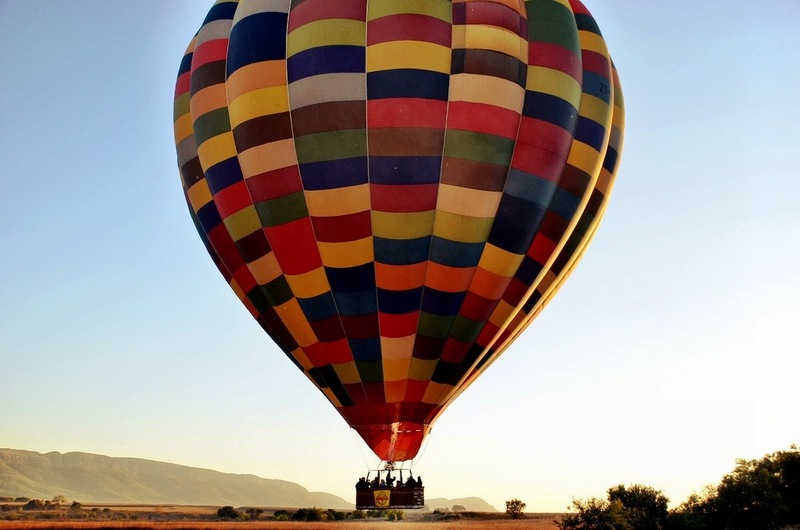 Always quick with a bad joke or even a song, Bill grew his company into one of the most well-respected tour companies in South Africa and the leader in hot air ballooning. Today his entire family joins him in the business as they lead visitors and locals alike into the skies every morning. It was this quirky wit and sense of adventure that guided us that morning, even as the winds became unfavorable Bill did his best to make sure our morning was special and unique to us. 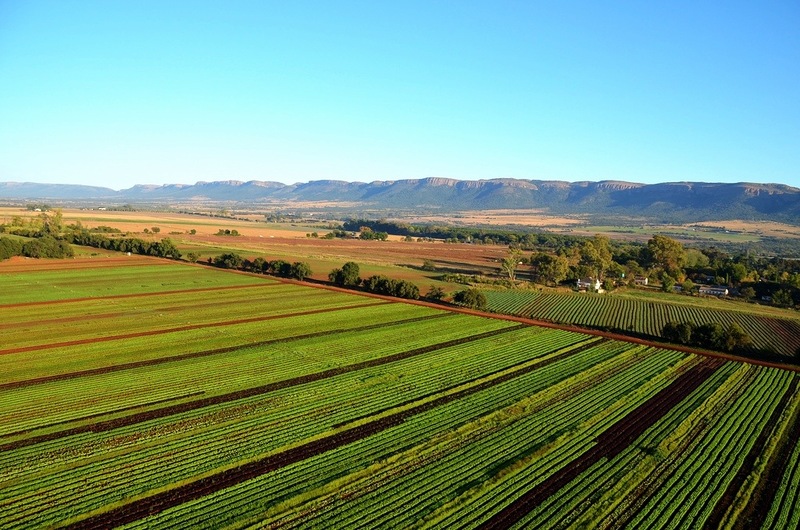 That was made easy by the location, the beautiful Magalies River Valley in the Cradle of Humankind World Heritage Site. The valley and nearby site is the location of many archeological finds that originally helped identify our very, very ancient ancestors. 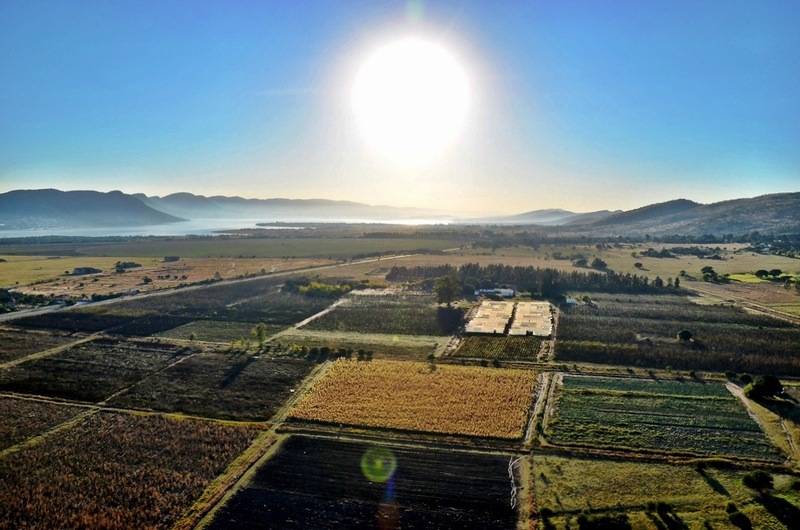 Today it’s a gorgeous river valley with farms and estates dotting the land. 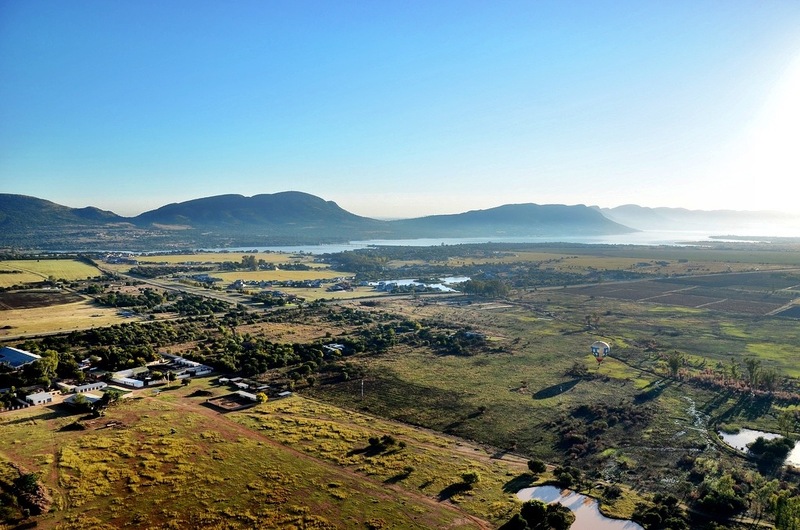 In the distance I could see Hartebeesport Dam and lake, made all the more spectacular by the early sunlight. Not all hot air balloon rides are perfect of course, especially since the pilot really doesn’t have all that much control. As the balloon fell to the ground our speed was a little too much and instead of a perfect landing right-side up, it was a little more brusque, but fun nonetheless. We all laughed it off as we enjoyed the traditional glass of champagne and toasted our luck to not just flying that morning, but flying in one of the most beautiful countries in the world, South Africa. The last photo reminds me of our landing after a fabulous hot air balloon ride over the desert at Sossusvlei, Namibia. For me, that was part of the fun! 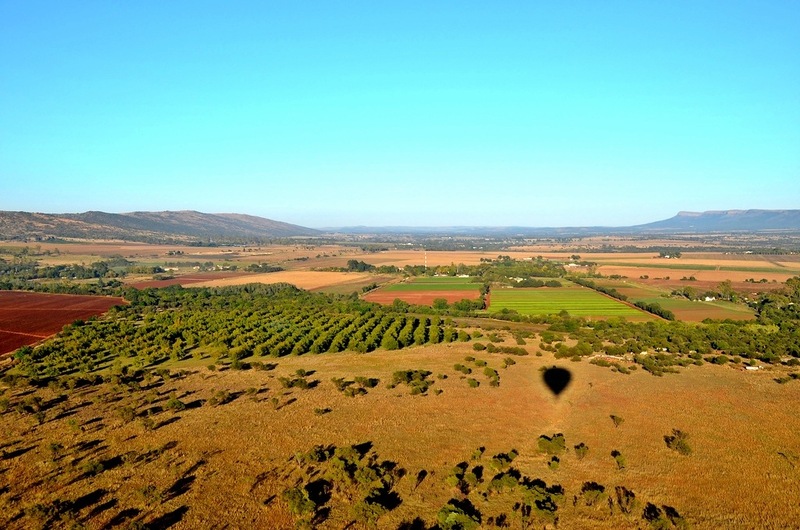 Ballooning is an awesome way to travel and get a bird’s eye view of the landscape. I’d do it again in a heartbeat, anywhere in the world. OMG what a crazy landing! These photos are some of the best you’ve ever taken, just gorgeous! 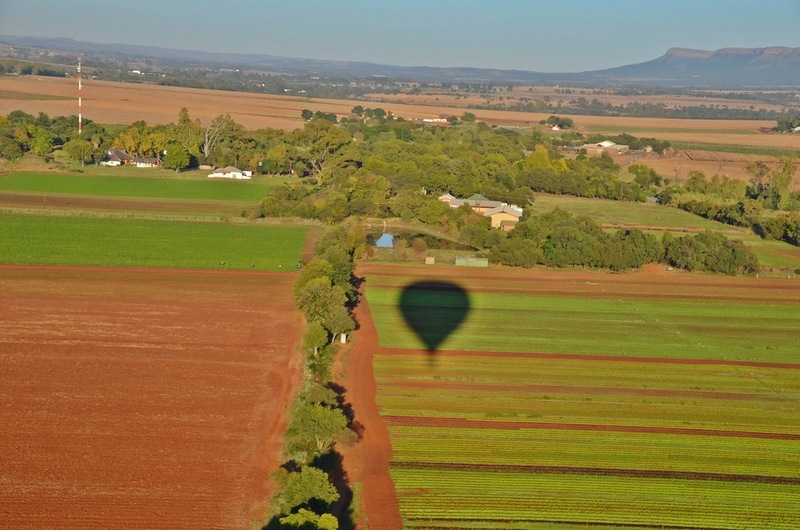 I took an amazing hot air balloon ride over the Outback once and I’ll never forget it. That’s so very kind of you to say Andi, thank you! 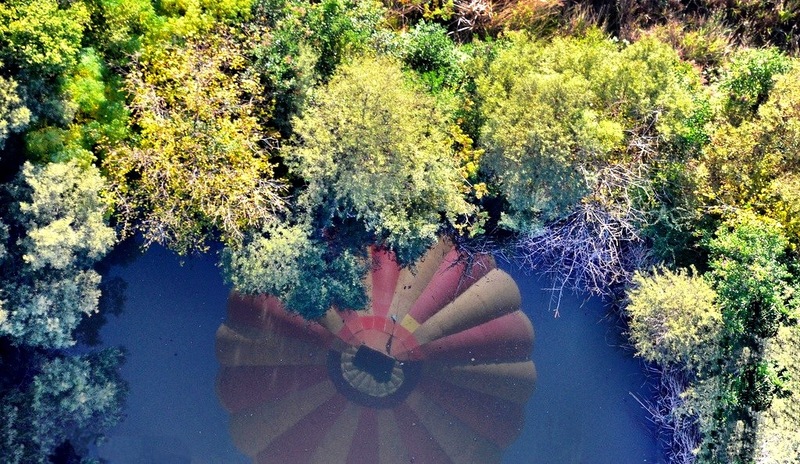 I had a similar landing in Napa (my third attempt at ballooning as the first two were fogged out). I didn’t realize – until I was up there and it was too late – how little control the pilot has over where the balloon goes, and where it lands. Our choices were on a fence, in the neighboring mash, or on some scary and very pointy farm equipment. The views were beautiful and it was definitely an adrenaline rush, but I think once in my lifetime was enough. LOL, pointy farm equipment is best to avoid. And yes, they have VERY little control. I’ve loved it each time I’ve managed to get in the air, but so far that’s only been about 1/3 of the time. Of all the crazy things I’ve done, I’ve STILL never gone up in a hot air balloon. What?! Get yourself up there! The 3rd picture…how beautiful can a picture be? Makes me wanna travel again so much…!